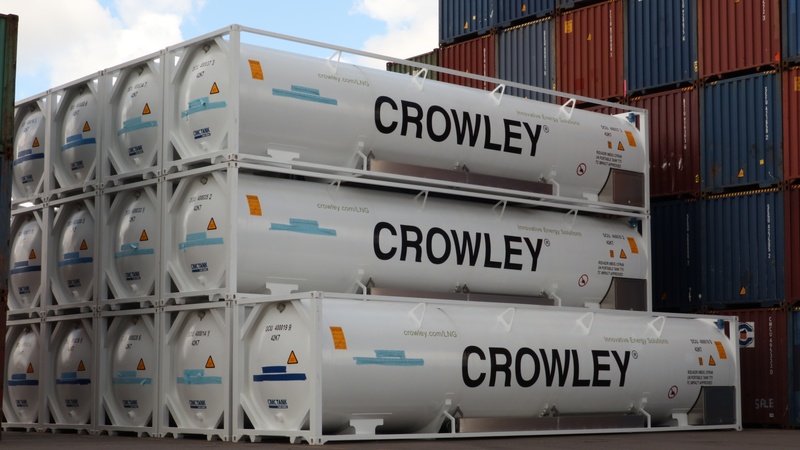 In response to high customer demand in Puerto Rico, Crowley Fuels has acquired 40 additional ISO tanks for its Caribbean group that will be used to supply, transport and distribute U.S.-sourced liquefied natural gas (LNG) to customers on the island. 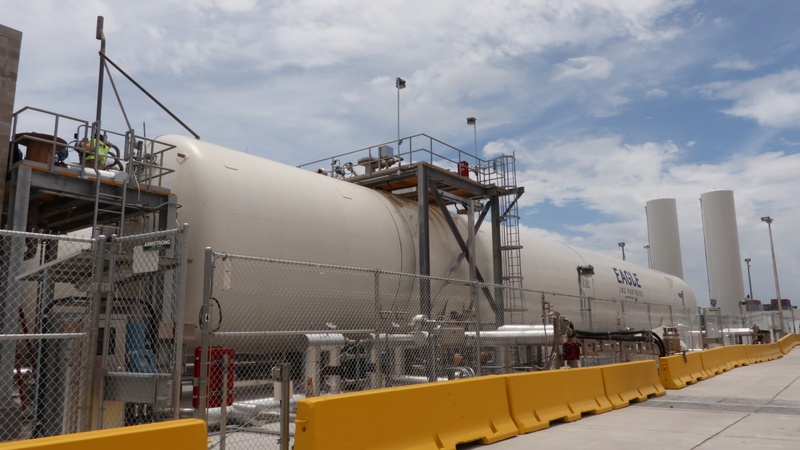 The addition of these tanks brings Crowley’s total equipment fleet to 75 cryogenic ISO tank containers, giving the company the capacity to ship over 20 million gallons of LNG annually to customers via a world-class logistics supply chain. The new 40-foot tanks feature technological improvements that increase the offload rate, allowing for faster fuel transfers to customers. 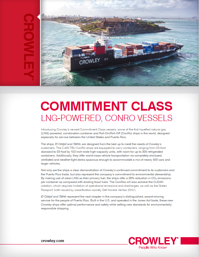 Today Crowley offers perhaps the coolest update yet in the development of two new Commitment Class, combination container/roll-on roll-off “ConRo” ships for the U.S. mainland to Puerto Rico trade: The first loads of frigid liquefied natural gas (LNG) have been safely and successfully transferred into the first ship, El Coquí. 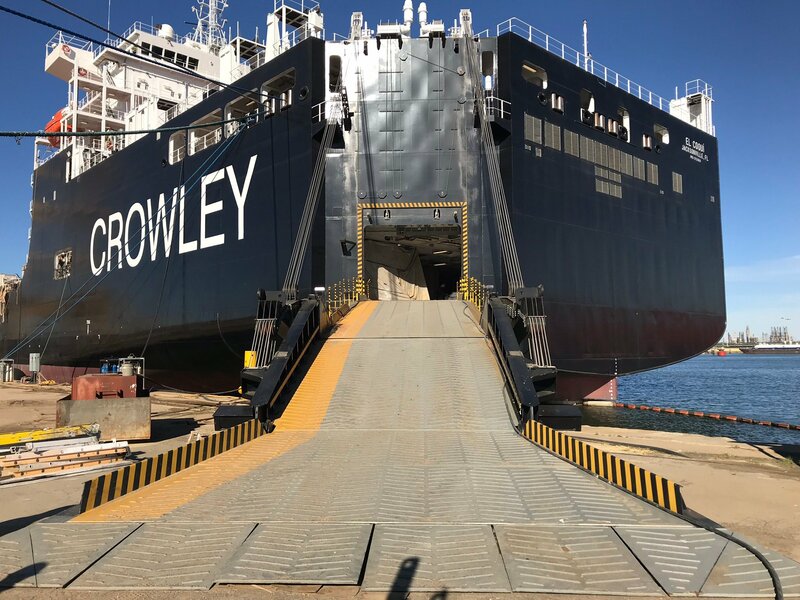 Inside Look: Crowley’s new ConRo ship El Coquí will help shippers transport cars to and from Puerto Rico faster in modern, enclosed vehicle decks. 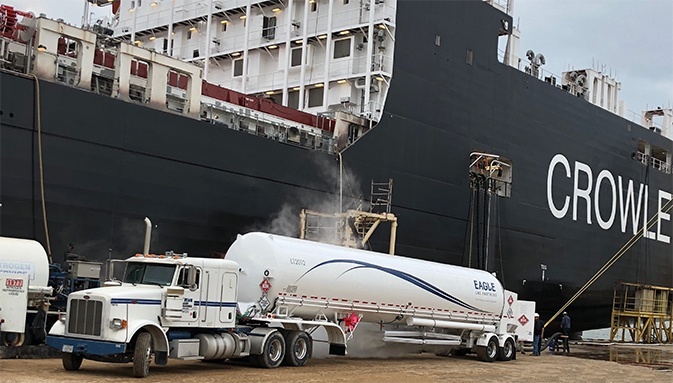 An important feature of Crowley’s new Commitment Class ships El Coquí and Taíno is the modern vehicle transport decks, which will allow cars, trucks and other heavy equipment to be safely and securely shipped between Puerto Rico and the U.S. mainland.